DJ Chris Redburn also know as (DJ RED) has been a DJ for almost 20 years. He has a busy past career as a National DJ; from coast to coast Chris has toured with numerous artists and organizations from the music industry to college events & spring breaks. Chris has entertained for MTV’s Spring Break Panama City Beach, Daytona Florida’s Bike Week, South Padres Island, TX Coca Cola’s Spring Break (Main Stage) and many other college events. DJ Chris Redburn has also DJ’d for many touring artist shows such as Dayton Family, MC Breed, Lil Wayne, T-Pain, Ying Yang Twins, Flava Flav, Vanilla Ice, Young Jeezy, Dougie Fresh, Lil Flip, Snoop Dogg, and many more !! But before dominating the national stages DJ Chris Redburn was a inspirational bar/nightclub/wedding DJ fresh out of High School. With over 500 wedding receptions and working full time for 16 years as bar & Nightclub resident DJ for many local Tri-City venues such as Calibur Club, Empire Club, Bubbas Roadside Inn(Saginaw & Flint), RJ’s Bar & Grill, Watering Trough Saloon, Shooters, Hamilton St. Pub, JB Meinberg’s, Schuch Hotel, Westown Nightclub, Lucky’s Pub, The Pharmacy, Hooters Cage Fights, Dow Event Center, Red Room, Bugsys (Genesee), Shamrocks (Genesee), PurpleMoon Nightclub (Flint), Celebrations (Flint) Clio Roadhouse, Crossroads (Tawas), Ground Zero (Streeters in Traverse City) Diesel Lounge (Chesterfield) Club Blue (Detroit) Clutch Cargo & Tiki Bobs (Pontiac) and many others around the state of Michigan. 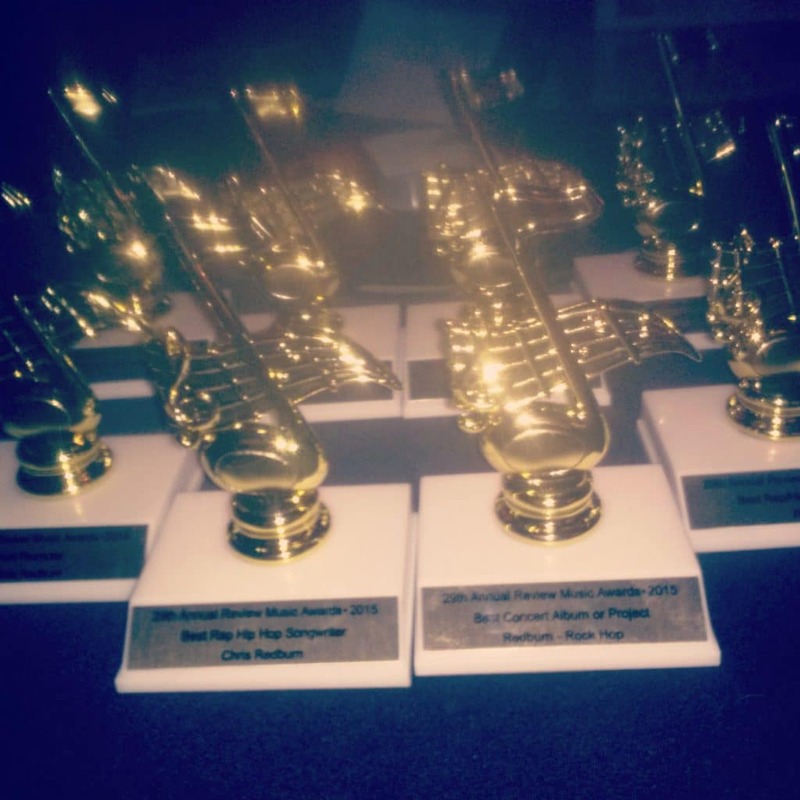 As a wedding DJ Chris has entertained every venue in the Tri-Cities. 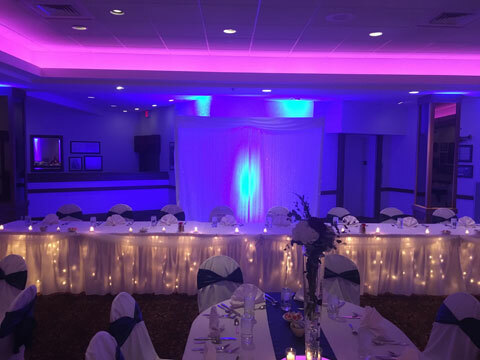 Redburn has also DJ’d many school Proms and Homecomings at Arthur Hill, Novel, Heritage, Swan Valley, Bay City Central, John Glen, Western High School, Au Gres, Hale, Tawas, Pinconning, Standish, and many others around the state. 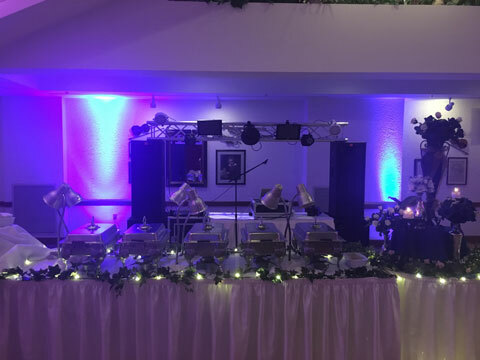 DJ Chris can DJ to any style of music from Classic Rock to Hip Hop to Country to Latin to Polish to 80’s to 50’s to Oldies. No event can break the performance this kid can put on for his crowd. He is a professional on the microphone as an emcee being on radio shows such as 102.5, 93.7, 105.5, 107.1 and many more coast to coast. 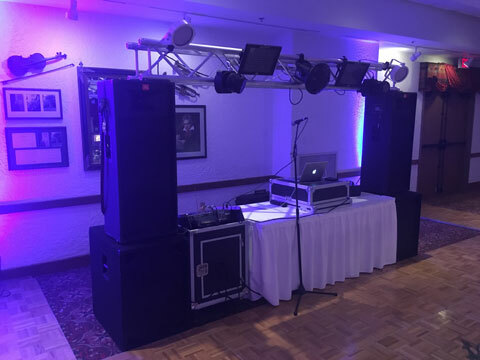 If you are looking for that professional voice that can travel across the event, that will control and entertain from wall to wall, then you have found the right DJ. 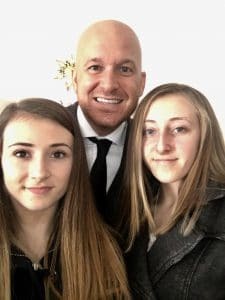 DJ Chris Redburn is not only a local celebrity but a family man who understands the importance of “cherishing the moment” and creating“ever lasting memories”. Chris was such a good DJ. 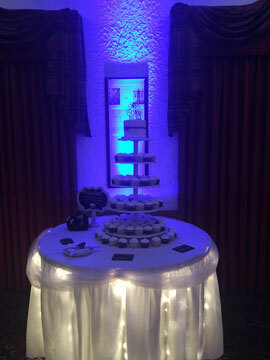 People are STILL talking about how much fun the reception was and loved the music. He played everything we had asked him to and made sure to check in with us periodically throughout the night. We communicated before the wedding to make sure we were on the same page and he went above and beyond our expectations. SO glad we chose Rusch Entertainment and got Chris! Chris Redburn DJ’ed our wedding this month and was amazing. He did such a great job catering to our many requests while still reading the room and keeping the dance floor packed all night. He also surprised us with some small touches like playing our song one last time to wrap up the night. Awesome DJ, thanks so much Chris! Our DJ Chris was awesome! This was a post wedding celebration back in Michigan with friends and family after getting married in Hawaii. 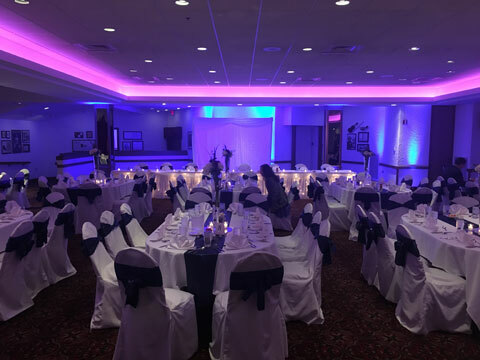 With the event not being a traditional wedding reception, Chris was able to give us some great suggestions to get our guests involved throughout the evening while not doing the typical events of a reception (no bridal party announcement, bouquet toss, etc.). Chris was great at reading the crowd and playing songs that not only got guests out on the dance floor, but kept them dancing for the whole party. Chris is a super nice guy, really easy to work with and was very professional, while still knowing how to have a great time! Would recommend him to anyone looking for a phenomenal DJ for their next big event! Hi Dean Our DJ Chris was the best I’ve ever seen, I could go on and on on how awesome he did. I would recommend him and Book him again if I ever have an event! Thank you so much! 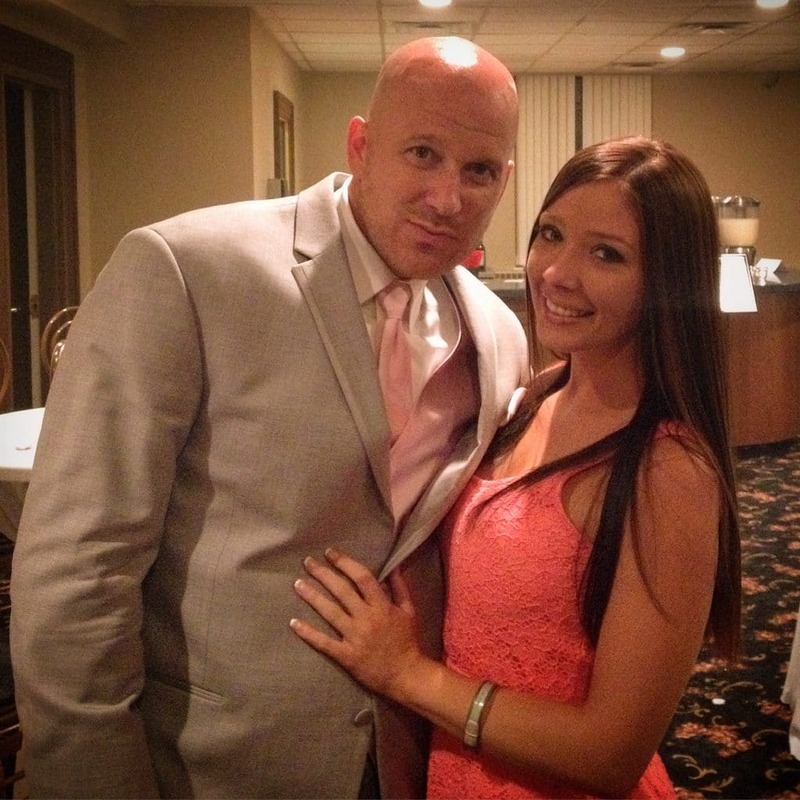 Rachel and Theodore Bacon – Italian American Banquet Center with about 200 Guests! Hi Dean, Chris did an excellent job. He was well prepared and very professional prior to the wedding. At the wedding, he was again very professional and easy to work with. We had a rain delay and Chris helped reorganize a few things so that the wedding still flowed very well. Finally, the music was on point!! Everyone had a fantastic time!! Appreciate the easing going and professionalism. Chris Redburn provided music for our daughter’s wedding and reception. He was awesome. He kept things moving along and allowed us the time to visit with our guests and enjoy ourselves. Dance floor was always full at the Lumber Barons Brewery. Your staff was great! My daughter the bride stayed up there the entire time and danced her heart out and that’s all that matters to me! Thank you. Diane S. Lumber Barrens, Bay City nearly 200 people! Dean, We had a blast! Chris was outstanding, everyone loved the music choice. He was great and we loved every minute of it! We still haven’t gotten our wedding photos back but once we do I’ll shoot some of people dancing your way. Thanks for being so great and we’ll definitely spread word of your company! Hi Dean, Rusch provided yet another memorable night for our consumers. Chris was professional, compassionate, and engaging and everyone loved him at the Dort Federal Event Center for About 500-1000 adults. We hope to have you back again next year. Have a great day! Hi Dean! Words can not describe how grateful we are to have had Rush Entertainment (Chris the DJ), for the DJ at our wedding. We had the best night of our lives and the dance floor was never empty the whole night!! We have received comments from multiple guests asking who the DJ was so they could refer them to others that they know. Honestly, there is not anything that I thought need to be changed, Chris was very polite, checked in before the wedding and verified any info before announcing at the wedding. Hands down best DJ!! We will remember Rusch for any other parties there may be down the road! Thanks for making our wedding one to never forget. Hi Corey! Our wedding was amazing. DJ Chris did such a great job and went above and beyond and ended up DJing our pool party after the reception as well. Everything went extremely smooth. He was so friendly and an amazing guy to work with. Like I said earlier he went above and beyond for us by making our pool party a HUGE HIT. We would use him again and recommend him to friends and family. Thanks for all that you did for us. With the dilemma that happened with the other company overbooking us, you guys went above and beyond to fix the problems. Please let me know which sites you would like reviews on and I will make it happen. Chris was awesome! He set up for the ceremony and reception well in advance. He was out going, accommodating, fun and knows how to have a great time! There were no complaints, EVERYONE loved him including the grandparents and great aunts and uncles! After the reception we had an after party and Chris came! He was having so much fun with us and us with him he came, it was in a water park, he got music going and we all had a blast! The mother of the bride never left the dance floor. We were all smiles and sore this morning! Never have I met a more fun loving music loving professional DJ before! CHRIS IS AMAZING!!! Chris from Rusch Entertainment was our DJ and he did a fantastic job. We also had Tammy as our violinist for the ceremony. She did a perfect job. Dean, Chris did a great job. Great music choices at Zehnders for our Company Appreciation Party with 150+ guests. THANKS! I picked Rusch for our wedding because I had several people recommend the company, and I couldn’t be happier that we did! Chris did an amazing job getting people out onto the dance floor, and a majority of our guests stayed until midnight (when the reception ended) because they were all dancing. I had so many people comment on how fun our reception was, and the main reason was due to the music. The fact that our guests enjoyed our special day as much as we did makes it that much more memorable! You guys exceeded our expectations, and I will definitely recommend Rusch to anyone planning an event! Hi Dean, Rusch provided yet another memorable night for our consumers. 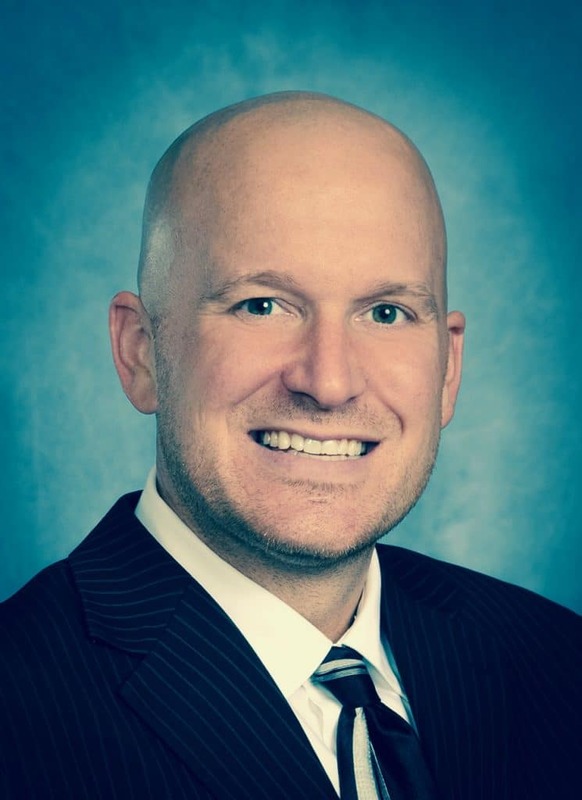 Chris was professional, compassionate, and engaging and everyone loved him at the Dort Federal Event Center for About 500-1000 adults, We hope to have you back again next year. Have a great day! Words can not describe how grateful we are to have had Rusch Entertainment for the DJ at our wedding. We had the best night of our lives and the dance floor was never empty the whole night!! We have received comments from multiple guests asking who the DJ was so they could refer them to others that they know. Honestly, there is not anything that I thought need to be changed, Chris was very polite, checked in before the wedding and verified any info before announcing at the wedding. Hands down best DJ!! We will remember Rusch for any other parties there may be down the road! Chris Redburn provided music for our daughter’s wedding and reception. He was awesome. He kept things moving along and allowed us the time to visit with our guests and enjoy ourselves. Dance floor was always full at the Lumber Barons Brewery! From start to finish Chris was awesome! He set up for the ceremony and reception well in advance. He was out going, accommodating, fun and knows how to have a great time! There were no complaints, EVERYONE loved him including the grandparents and great aunts and uncles! After the reception we had an after party and Chris came! He was having so much fun with us and us with him he came, it was in a water park, he got music going and we all had a blast! The mother of the bride never left the dance floor. We were all smiles and sore this morning! Never have I met a more fun loving music loving professional DJ before! CHRIS IS AMAZING!!! Last night’s wedding goes down in the history books as one of my top weddings! Congratulations Mr and Mrs. MacLean! Had Chris Redburn as my DJ for my wedding last fall. He honestly made my wedding that much more special. Everything from dinner music to getting my grandma out on the dance floor! He is a great MC as well. All around good person. I plan on giving him a call again for my daughters graduation party next summer! Thanks Chris for making my wedding so much FUN!!! Had DJ Red, he was aswesome as always. Plays great music and brings great energy to the party.